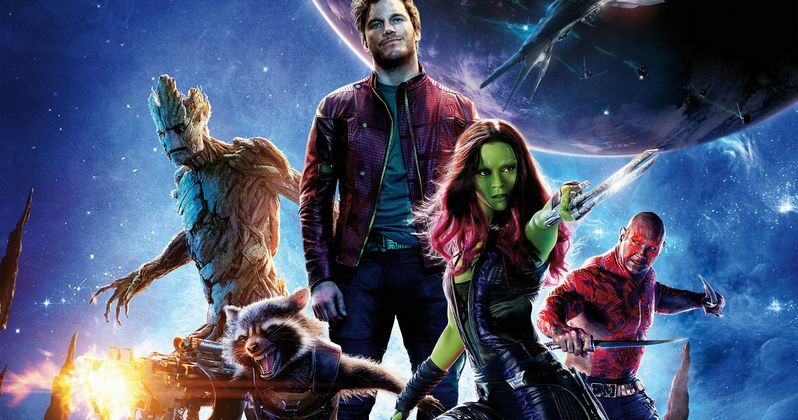 Before Guardians of the Galaxy ever made it into theaters, director James Gunn promised his sci-fi adventure would be filled with more Marvel references and cameos than any movie released to date. And the man did not disappoint. With this particular chapter in the Marvel Cinematic Universe, the studio is able to not only provide subtle nods for die-hard fans, but also set up more important elements in the overall arc being played throughout all of the movies. Here, we get to explore parts of the Marvel galaxy yet undiscovered on film, and some of the secrets and references are hard to notice on that first, second and even third viewing! After Marvel anounced that Guardians of the Galaxy 2 will hit theaters on July 28, 2017, James Gunn promised fans that the sequel will focus on Peter Quill's real father and his relationship with Yondu. But who is Peter's real father? The film opens with a young Peter Quill having his last conversation with his mother (Laura Haddock) before she dies, and she claims Quill's biological dad is made of "pure light," teasing his human/alien hybrid origins. Peter is later beamed into a spacecraft and taken to a whole other world, where he is raised by the blue-skinned outlaw Yondu (Michael Rooker). At the end of the film, Yondu reveals that he actually plucked Peter from "Terra" (Earth) to deliver him to his father, whose identity is never revealed. In the comics, Peter's father was J'son, the son of a galactic Spartoi emperor, but it isn't likely the movies will follow this particular storyline. While the sequel will most likley reveal who Peter's father truly is, we'll have to wait until 2017 to find out for sure. It's also worth noting that Laura Haddock isn't new to the Marvel Cinematic Universe. She also played the "Autograph Girl" in Captain America: The First Avenger, though she is quite unrecognizable in this film. Are you a fan of all these Guardians of the Galaxy Easter Eggs? Are there any we missed? Chime in with your thoughts below.